TheCommittee of Administrators (CoA) has revoked provisional suspensions on Hardik Pandya and K.L. Rahul while the appointment of a BCCI ombudsman is pending in the Supreme Court. Last week, the CoA put in a plea in Supreme Court seeking an urgent appointment of an ombudsman in the BCCI to decide on the fate of the two cricketers. 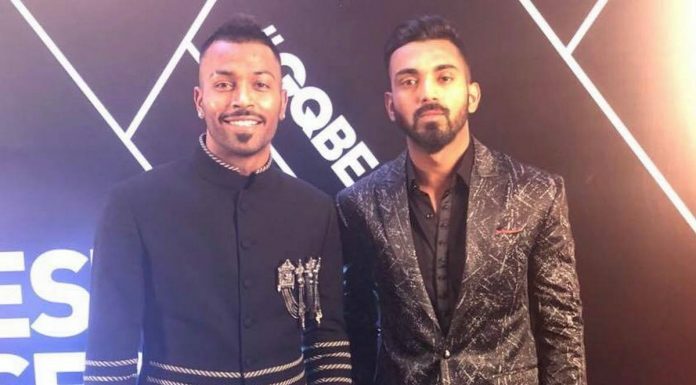 Hardik Pandya and K.L. Rahul were suspended earlier this month after their comments on an episode of Koffee With Karan created a furore. The two cricketers issued an “unconditional” apology for their comments on the show amid CoA chief Vinod Rai saying that the BCCI should correct the two players, not end their careers. The BCCI had issued an enquiry as per the as per clause 41 (c) of the new BCCI constitution, according to an earlier report. Talking to the media, India captain Virat Kohli condemned the comments made by Pandya and Rahul, calling them “inappropriate”. “From the Indian cricket team point of view, any inappropriate comments that are made in that scenario are something that we definitely don’t support…and that has been communicated (to the two players),” said Kohli. However, the skipper insisted that the dressing room morale won’t be affected by the controversy after the historic high of a maiden Test series triumph in Australia.